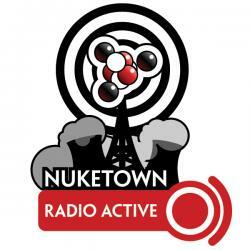 On this episode of Nuketown Radio Active colds stalk the Newquist household, I geek out about some computer upgrades, and I return to the World of Warcraft. In Netheads I look at the Bard of Valiant, an RPG blog and Saga-Edition, a fan web site dedicated to Star Wars: Saga Edition RPG. Finally, I round out the podcast with a look at four cool games for the Nintendo Wii. One, two punch: first colds, then stomach bug. Khephren (coming in from Yog Sothoth) reported a problem with the show archives that prevented episodes 13 to about 32 from being downloadable has been fixed. Computer Upgrades: I spent some of my hard earned freelance cash (remember all those reviews last fall/winter?) on some upgrades for my MacBook Pro and home office. I’m back in World of Warcraft after 3 years away. And Zilanderan was right there waiting for me. Having a blast playing with my gaming group. RPG gaming blog that spends a goodly amount of time talking about science fiction (which, as a newbie scifi gm, I appreciate greatly). Recent posts include “Prophesy”, “A Dark Earth” science fiction campaign setting, random scifi encounter with a killer garden. Includes conversions from earlier editions, new rules (e.g. Jedi and Sith holocrons), NPC write-ups, feat and talent indexes (though I wish they’d identifty which book they came from in their master lists) and much more. More of the same; if you’ve played the DS version there’s not a lot new here. There’s a new city to visit, 20% more furniture, but game play remains the same. Complete various recipes to make virtual meals. Very Japanese, but StarGirl likes it. The graphics may not be as good as the 360, but you can use the Wiimote as a lightsaber. ’nuff said. Comes with a floor mat (a la Dance Dance Revolution?) that you can use to control the onscreen actions. Games include running, jumping, mine cart races, tunnel sliding. A big hit in our house.